HomeBlogVariousAnestasiA Vodka by Karim Rashid. 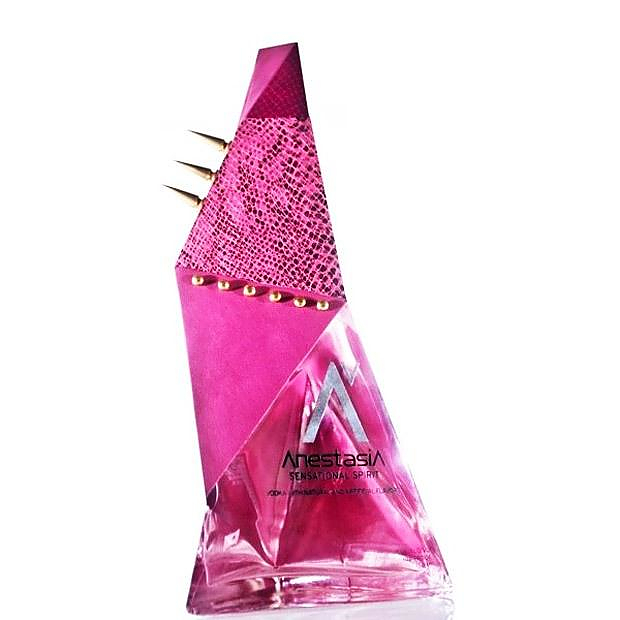 AnestasiA Vodka is premium vodka packaged in a sensational bottle designed by prolific industrial designer Karim Rashid. AnestasiA is an organic-based vodka infused with a sensational, tingling, patent pending formula. It is made in Bend, Oregon and its two taste-defining ingredients are: Cascade Mountain spring water and locally grown organic corn. It is five times filtered through charcoal and crushed volcanic rock as well as five times distilled. Moreover it is naturally gluten-free. 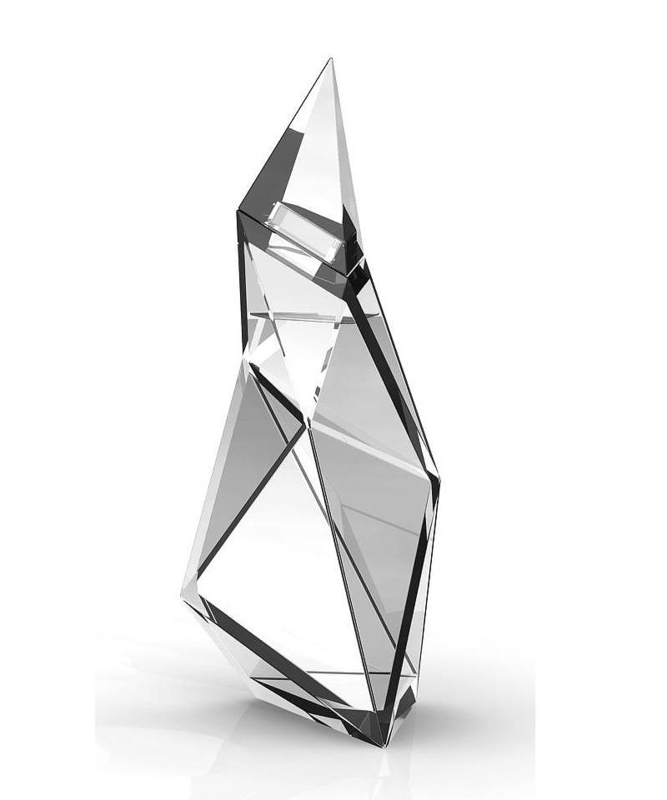 These unique attributes establish AnestasiA Vodka as a world-class spirit and according to its creators it is the world’s first tingling spirit. 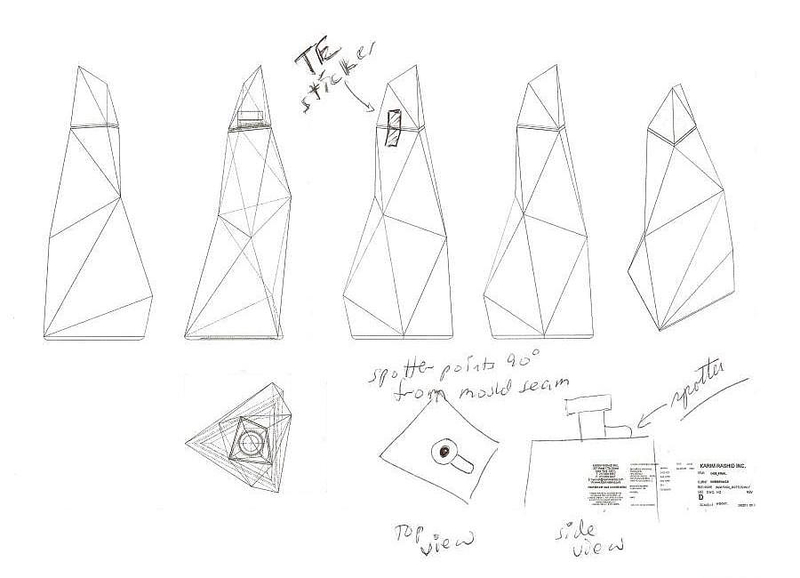 The futuristic bottle is comprised of a multitude of glass panels for a distinctive faceted look. This dramatic looking packaging strongly reminds us of processed obsidian crystals. The “sharpness” of the design is a perfect visual match and a distinctive reference to the clean, refined taste of a premium quintuple distilled vodka. 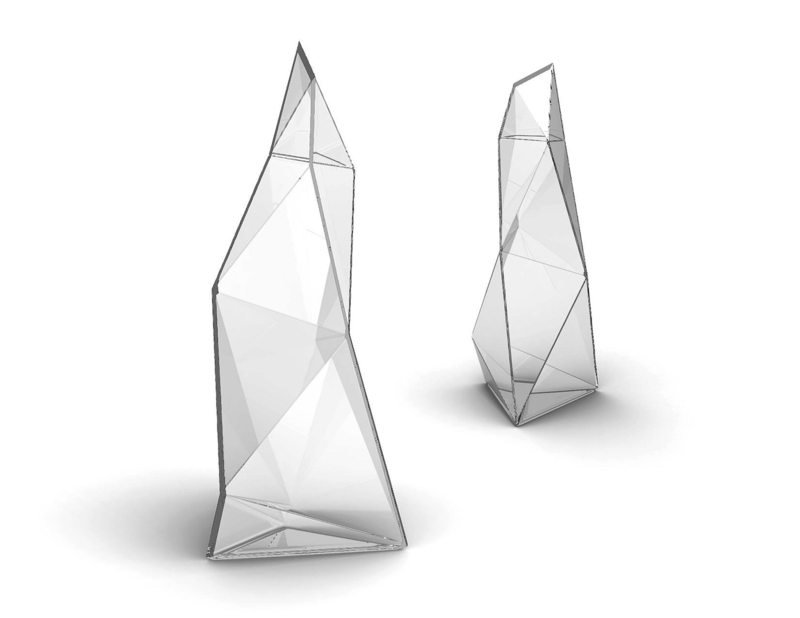 Rashid’s impressive looking bottle is manufactured in Italy by Bruni Glass and it is made using recycled materials. In addition the exterior packaging is made from recycled cardboard. 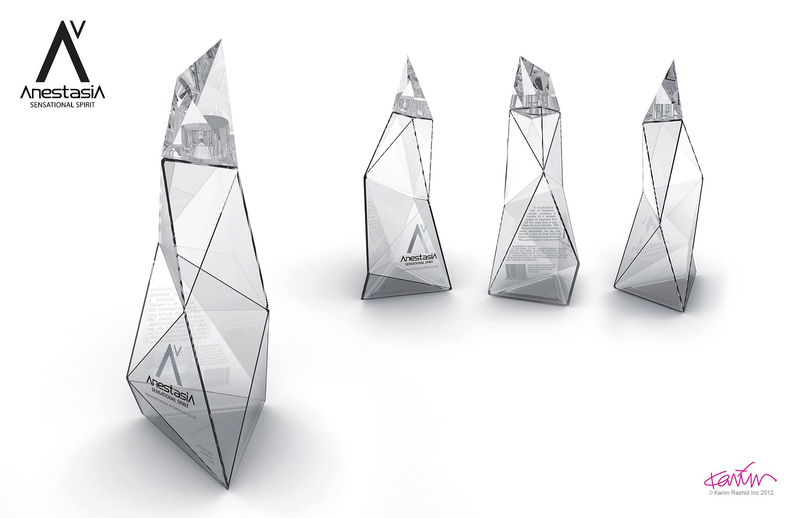 With a unique product formulation, a distinctive name and a dramatic yet environmentally friendly packaging, it sure looks like AnestasiA Vodka came up with a winner combination. 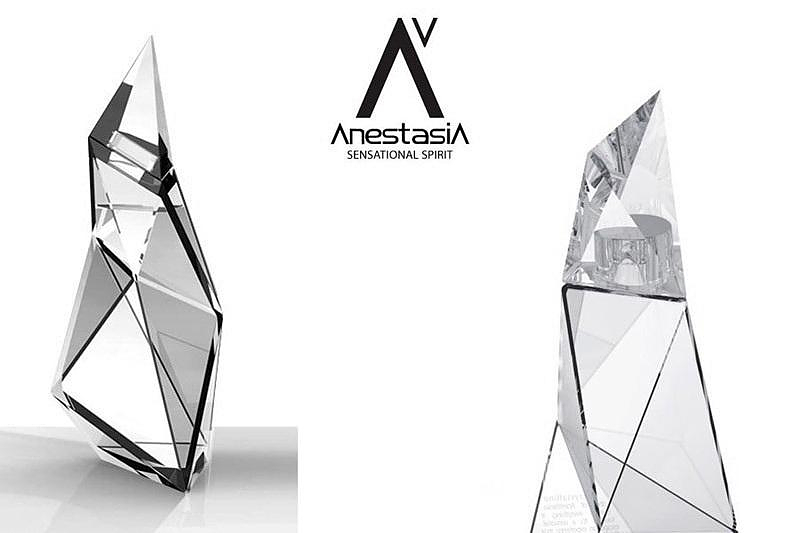 AnestasiA Vodka has one of the most impressive bottles we have seen and if the taste matches the packaging (haven’t tried it yet) its future looks promising.